Dr. Sonia del Rincon completed her postdoctoral training focused on identifying novel druggable targets in breast cancer at the Sanford Burnham Prebys Medical Discovery Institute, La Jolla, California. In 2018, she was appointed Assistant Professor in the Department of Oncology, McGill University. 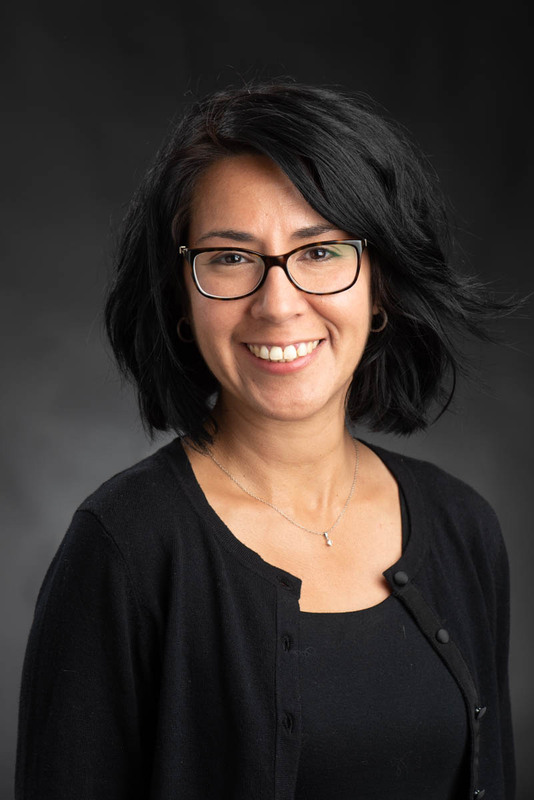 Dr. del Rincon’s recent research interests include defining the role of the MNK1/2-eIF4E axis in metastatic diseases, including pregnancy associated breast cancer and melanoma. She helped to initiate the realization of a first ever Melanoma Research Network in Montreal, which promotes collaboration between basic scientists and clinicians throughout the network. Since 2017, she has volunteered as a Regional Representative for the Melanoma Network of Canada, the largest national patient advocacy group for this deadly skin cancer. I - Developing therapeutic strategies to block MNK1/2 signaling in metastatic disease. The eIF4F complex, a critical regulator of mRNA translation can be viewed as a molecular bridge between upstream oncogenic signaling and downstream protein synthesis. Although inhibitors of eIF4F complex members exist (against eIF4A, eIF4G and eIF4E), our approach to block metastatic disease is to block the activity of MNK1/2, the kinases which phosphorylate eIF4E. We have shown that MNK1/2 inhibitors hold therapeutic promise in breast cancer and melanoma. We identified the (1) phosphorylation of eIF4E as a critical mediator of the epithelial-to-mesenchymal-like transition and metastasis, and (2) role for eIF4E in resistance to targeted therapy in melanoma. Most recently, we helped to develop a novel pharmacologic inhibitor of MNK1/2 in collaboration with the drug discovery company Selvita S.A., and showed it blocked the oncogenic effects of mutant receptor tyrosine kinase signaling. We are interested in understanding the tumor-intrinsic and –extrinsic (in immune cells) effects of MNK1/2 signaling. We have several immune competent mouse models of the metastatic diseases we study. II - Elucidate the role of the peroxisome in cancer. We hypothesize that peroxisomes, organelles with critical roles in ROS homeostasis, serve as a novel mechanism of resistance to targeted therapy in cancer. We have shown that reducing peroxisomal function is associated with an increase in oxidative stress, which primes tumor cells for targeted therapy-induced apoptosis. We seek to understand the impact of loss of peroxisome function in cancer, at the mechanistic level. Ultimately, we will leverage this knowledge to design novel inhibitors of peroxisome function. Zhan Y, Guo J, Yang W, Goncalves C, Rzymski T, Dreas A, Zylkiewicz E, Mikulski M, Brzózka K, Golas A, Kong Y, Ma M, Huang F, Huor B, Qianyu G, Wurzba SD, Torres J, Cai Y, Topisirovic I, Su J, Bijian K, Alaoui-Jamali MA, Huang S, Journe F, Ghanem G, Miller WH Jr*, del Rincón SV*. MNK1/2 inhibition limits oncogenicity and metastasis of KIT-mutant melanoma. Journal of Clinical Investigation. 2017 Oct 16. pii: 91258. doi: 10.1172/JCI91258. Dahabieh M, Ha ZY, Di Pietro E, Nichol J, Bolt A, Goncalves C, Dupéré-Richer D, Pettersson F, Mann K, del Rincon SV* and Miller WH Jr.* Peroxisomes protect lymphoma cells from HDAC inhibitor-mediated apoptosis. Cell Death and Differentiation. 2017 Jul 21: doi:10.1038/cdd. Zhan Y, Dahabieh MS, Dobocan MC, Boutchou M-N, Goncalves C,Liu LS, Pettersson F,Rajakumarm A, Topisirovic I, van Kempen L, del Rincón SV, Miller WH Jr. The role of eIF4E in response and acquired resistance to vemurafenib in melanoma. Journal Of Investigative Dermatology. 2015 May;135(5):1368-76. Robichaud N*, del Rincon SV*, Huor B, Alain T, Petruccelli A, Hearnden J, Goncalves C, Grotegut S, Spruck CH, Furic L, Miller WH Jr**, Sonenberg N**. Phosphorylation of eIF4E promotes EMT and metastasis via translational control of SNAIL and MMP-3. Oncogene. 2015 Apr 16;34(16):2032-42.